Yeah i know, facebook flash games are probably not the best in the world, but it’s a very fun way to pass the time when you have nothing to do, at work or at school. 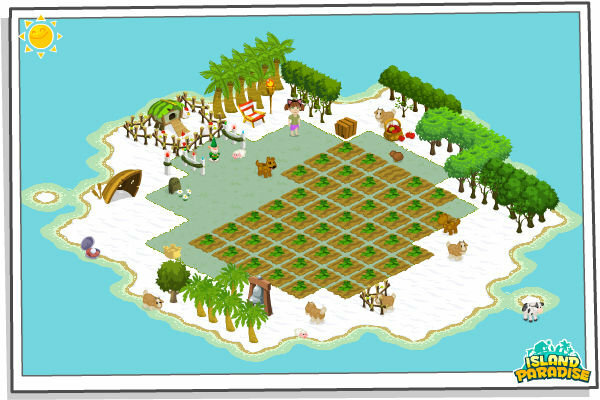 I think the game is about you on a forgotten island trying to survive by planting fruits and vegetables, if you want to you can invite your friends over facebook and get different gifts and animals. And sometimes, you will find a lost animal or something in which you can post on your wall and they can put those animals on their own island, is they are an active member. Do you play Island Paradise? What do you think of it? Leave a comment below!! !